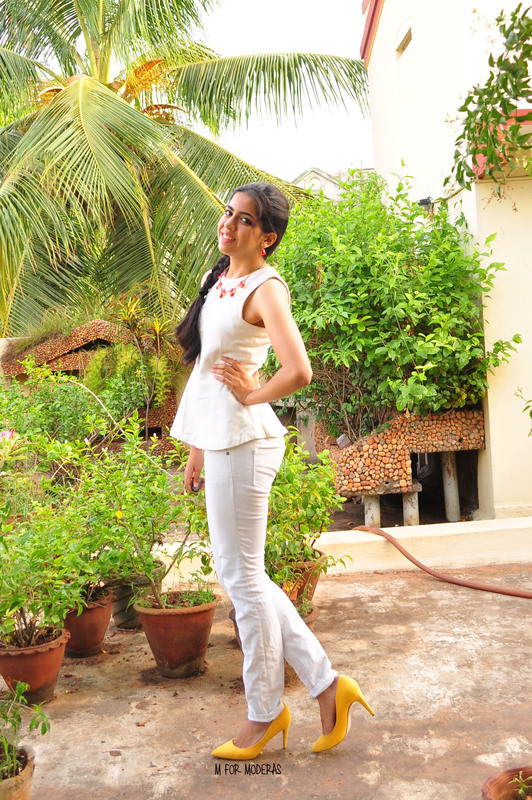 White can be a really tricky colour to pull off. They can get a sad yellow if not taken care of, and are notorious for staining, which makes us stash them at the back of our closets, never to see the light of day. But think again about them– when done right, it looks chic, timeless, and perfect for every situation. An easy way to wear one colour all over is to mix texture, and silhouettes. 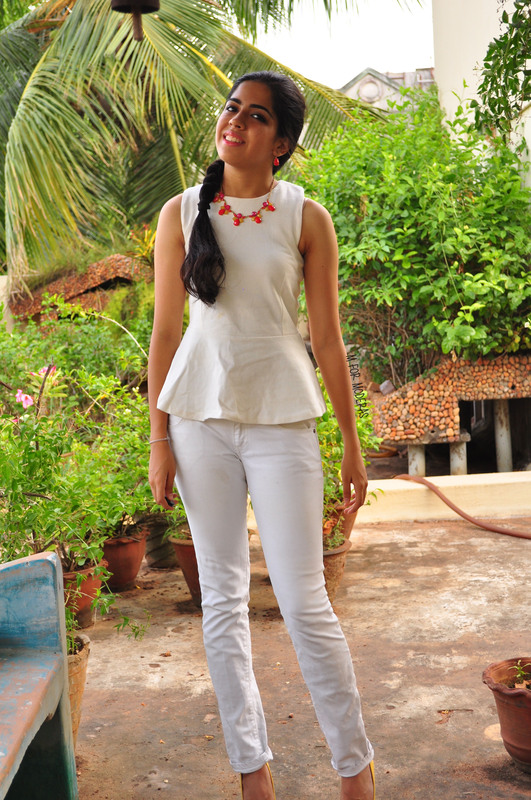 Here, there’s an exaggerated waist, also known as a peplum waist– see how it flares out? This is a tricky trend (and can look dated but who cares about trends). But it adds an unexpected twist to an otherwise typical top + skinny jeans combination. I’m also a huge fan of adding pops of colour to every single outfit. 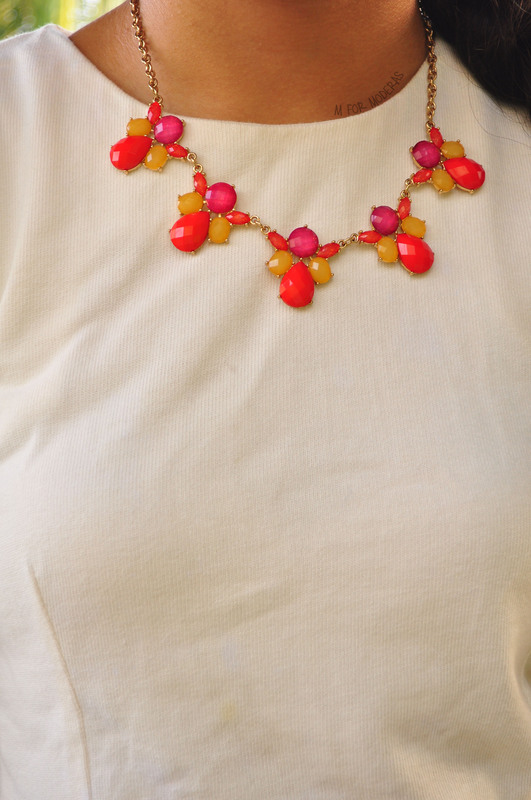 This necklace which I’ve worn before on the blog is simple enough to not take away from the all-white elements, but colourful enough to be noticed. Hope you had a great weekend + have a great week ahead! What is the name of the model posing here? And what is moderas? A play on ‘Modi’s era’? !